Damp Proofing is something people don't think about very often. There are three occasions where damp proofing might be considered. The first is the most dramatic and is usually preceded by part of the roof collapsing as the rotten beams can't support the weight of the tiles any more. A more common (and thankfully less dramatic) realisation that you should think about the state of the timber in your home is when you either come to sell your home or you switch home insurer. 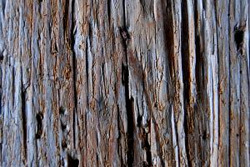 Both often include a survey, and it is this survey which picks up signs of problems with the timbers. 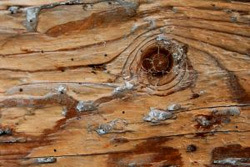 Dry rot, wet rot, woodworm, all of these problems can be prevented. If you take the initiative and have the timbers treated before the problem arises, you will find that you can get a better deal, either lower premiums or a better sale price, simply by having the timber treated yourself. You might need to deal with any existing problem, or just having the timber treated as a preventative measure, damp proofing the timbers and ensuring that no problem arises in the future. We have experts in timber treatment and damp proofing across Cornwall. Contact them for more information.